I live in Southern California. 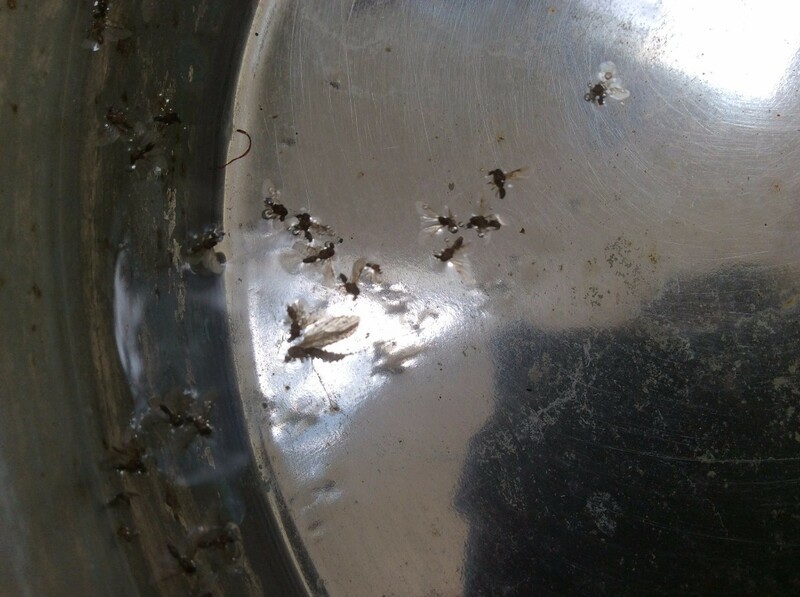 We have found these flying critters (they have wings, so I assume they fly) only dead, or swimming around, in the dog's outside water bowl. This is about the third time. We haven't noticed them flying around inside or outside the house, but they must be out there somewhere. Most of them are only about 1/4 inch long, but some are between 1/4 and 1/2 inch. They seem to be found when the water has been still for a good amount of time. 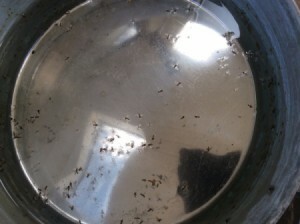 The dog has another bowl of water that he most often drinks from and I don't see the bugs there. This bowl is sort of a back up. Since they aren't bothering us or the dog, my main concern would be if these are termites. If I continue to see them after identifying, I will call an exterminator, but I don't like spraying pesticides in the house or around the yard. Thanks for any help! My guess is that these are carpenter ants, not termites. Carpenter ants have a waist, and termites don't. I would call in a professional, as carpenter ants can damage wood.